Today’s soundtrack: “Gonna Fly Now”, aka “Theme From Rocky”. 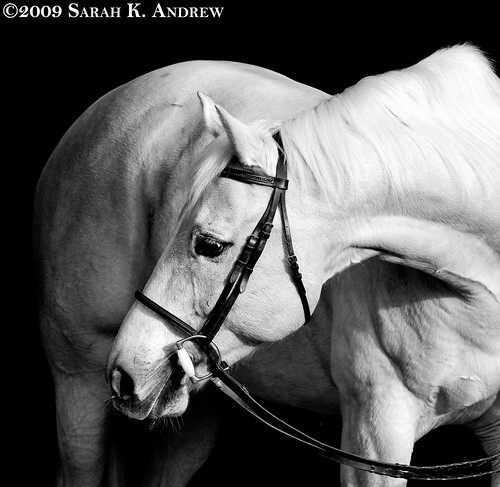 Players: An equine photographer, her mother, and two Italian stallions. OK, so I did not swallow any raw eggs, but I certainly got my exercise today. Today’s training sessions began with a walk in hand on the trails with JR and my mom. JR was so much more confident on the trail today than he was the last time out. He’s always well-behaved, but I could tell that he was more relaxed this time, like he understood what we were doing and he was totally cool with it. The trail is a 20 minute loop and I walk fast. Mom kept up with us and all three of us were all warmed up and ready for the ride. JR felt fantastic today. We worked on the exercises we did with Sarah last night: figure 8, skinny figure 8, serpentine, and adjusting our trot speed. 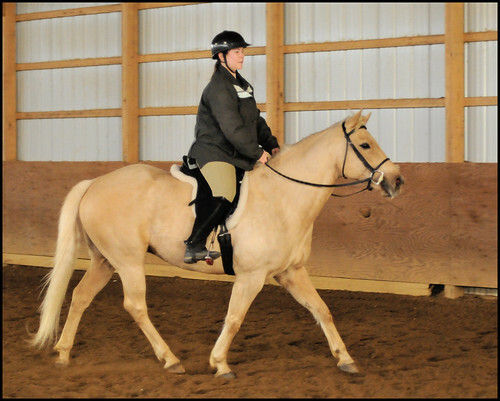 When we were doing a forward trot, JR slipped into a canter for a few strides. 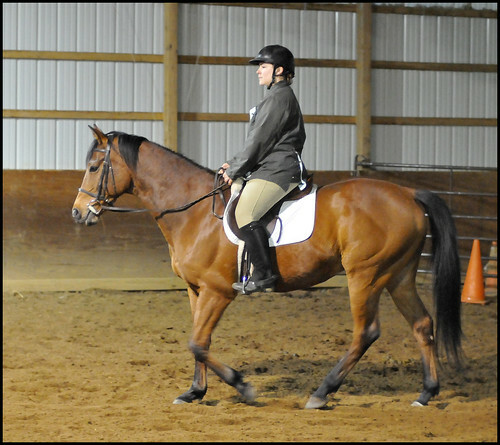 A lot of green horses have awkward canters, but JR’s is quite wonderful! It’s springy :^) By the end of the ride, JR was again reaching for the bit a few times. He was relaxed and his rhythm was more steady. I rode for about 15 or 20 minutes- I was really pleased with our progress. After our ride, I grazed JR and took a few pictures of him- he’s learning how to stand and pose for photos. I gave JR a good grooming and put him in his stall. I tacked up Wizard and we walked the same 20-minute loop again. Wizard has a huge, magnificent walk and it took way more energy to keep up with him than JR. He was also very good on the trail- he looked excited but never misbehaved. Mom gamely kept up with us. By the time we got back from the walk, my mom and I were both exhausted! Walking at top speed with a strong horse over soft terrain is a full-body workout, that’s for sure. I longed Wizard for about 15 minutes, working on moving the circles up and down the arena in both directions. My mom agreed that he looks more comfortable with the shoes. I mounted up and rode for a few minutes, working on our walk. Wizard was a little more energetic than usual, just like he was last night. He listened to my cues, but seemed more on his toes. You can see it in the photo below. He whinneyed when another horse called in the barn. When I had him relaxed and listening, I hopped off and put him on the longe for 3 rotations, just to see what he looked like when he was wound-up. He looked like he felt- on his toes but still behaving. After my ride, I went into the outdoor arena and stood with Wizard for about 15 minutes, watching my barn buddies ride their horses. I used it as a schooling exercise. Wizard practically fell asleep. Perhaps he was just concerned about being the only horse in the indoor ring while everybody else was playing outside? I rode indoors to keep him focused but maybe I’ll try outdoors next time if there are horses around. Whew! It was a long day. I was sweaty, dirty, and tired at the end, but it was a lot of fun. To my blog reader friends: I’ll be in Harrisburg, PA for the Pennsylvania Horse World Expo so there will not be any new posts for the next day or so, but I promise to give a full update when I return! Have a great weekend. ← JR Ride 8; Wizard Ride 51: Heels Down! Been reading your blog after Gina mentioned it on Pet Connection. I really look forward to reading about your training and the gorgeous photographs, but I’m not very familiar with the terms. What does reaching for the bit mean? DP- I just completed a brand new Expo post! Lori- Great to “meet” a fellow Pet Connection fan! 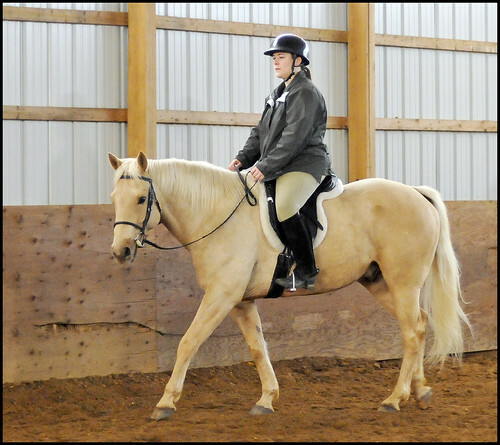 In the process of teaching a horse to maintain contact with the rider’s hands through the bit and reins, a rider must train the horse how to seek contact. Seeking contact develops the correct muscle groups on the top of the neck and back. 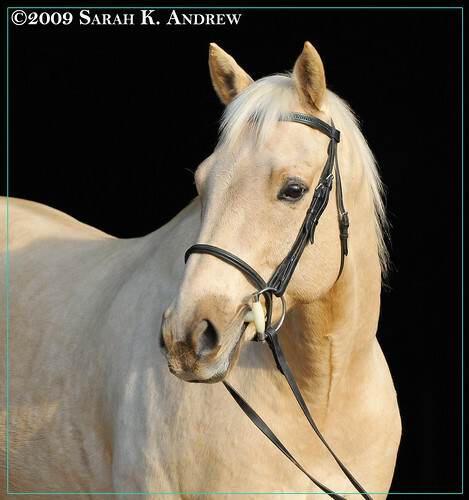 If a rider simply grabs the reins and does the work him/herself, the horse will develop “upside down” muscles on the bottom of his neck from resisting the bit. Ah, so it’s a good thing. I get it! How much snow did you get yesterday? I’m near Doylestown, PA and I’d say it was only about 6 or 7 inches. I’ve heard reports of up to a foot but I think it was closer to 8 inches by the barn and by my house. I’m happy to get one big snow- now I’m ready for spring!